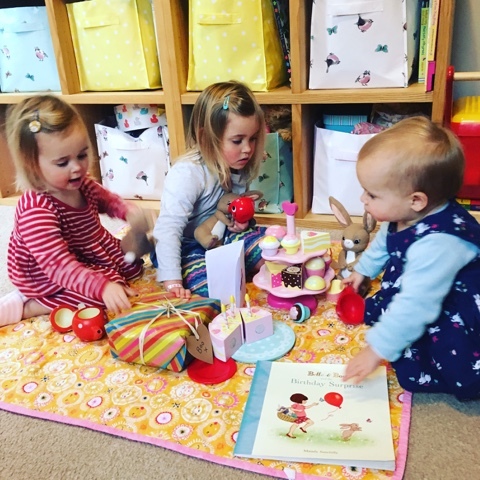 Childhood is such a magical time, full of imagination and adventure, the little ladies make believe and play for hours pretending to be fairies or pirates or hosting tea parties. We read so many books which inspire their own stories but none have captured their imaginations quite like the beautiful tales of Belle and Boo. 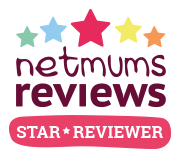 If you haven't come across the wonderful world of Belle and Boo before then you are in for a treat. Belle and her rabbit friend Boo will take you back to your childhood of simple days where children are children and imaginations run wild. I'm a firm believer in letting the little ladies be little and giving them lots of opportunity to explore the world around them. 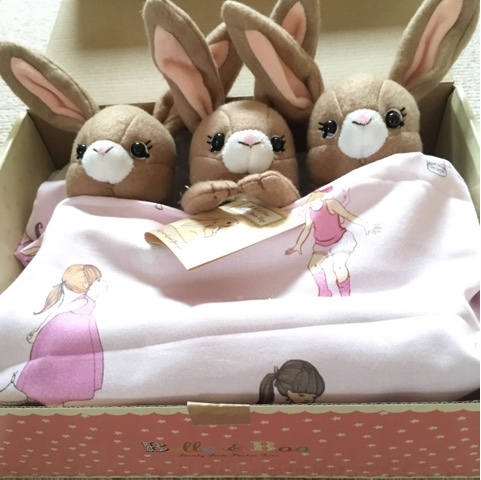 They were over the moon when three little Boo's arrived to come and live with us and they honestly haven't left their sides since hopping out of the boxes. 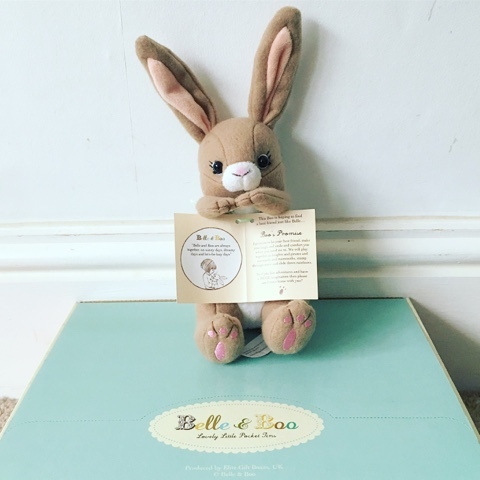 Boo is the most gorgeous vintage looking toy with super soft fur and the cutest little face. He arrives with a promise "to be your best friend, make you laugh and smile and comfort you when you need me to. We will play together as knights and pirates and mermaids and mammoths, stomp through snow and slide down rainbows." 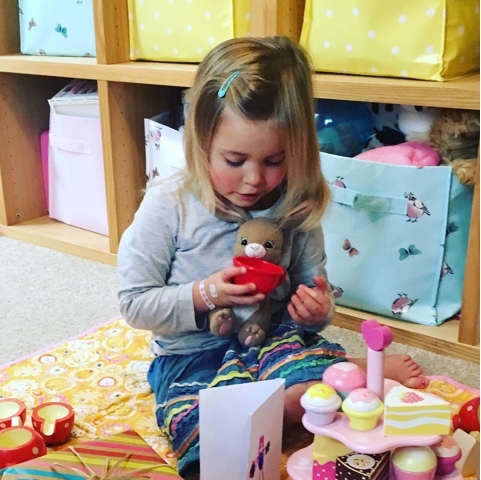 The little ladies couldn't wait to share an adventure or two with their Boo's and got to work setting up a birthday tea party for him just like in their favourite Belle and Boo story 'A Birthday Surprise'. They sat and coloured cards for him and set out tea cups and wooden cakes. They insisted that I wrap him birthday present - which was a carrot in a box in case you were wondering. It was something they all engaged in and enjoyed doing, their little imaginations were truly ignited. One of my favourite lines from the Belle and Boo stories is " Belle and Boo are always together on sunny days, dreamy days and lets-be-lazy days". 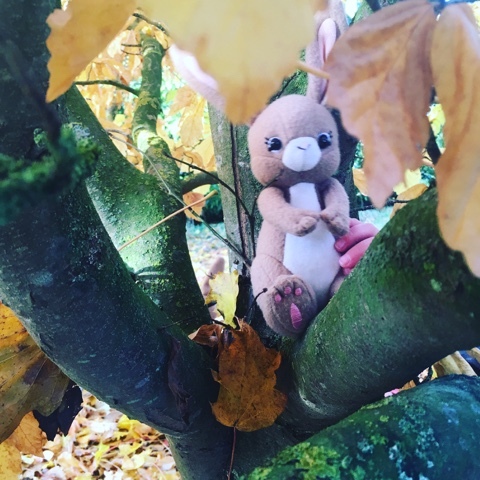 Boo makes the most lovely companion whatever adventures your Little's are having. 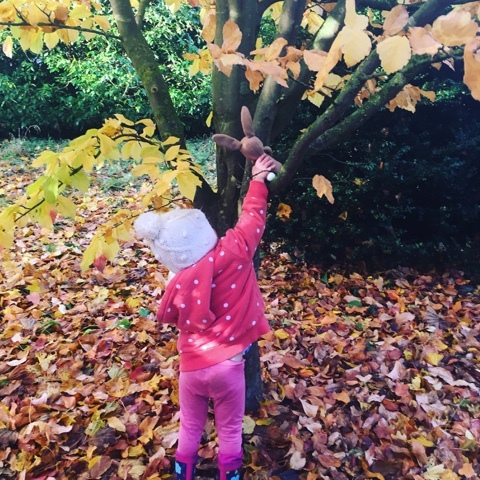 We took Boo out to climb trees and rocks and play hide and seek. The girls took great delight in finding spots for him to hide and exploring with him. 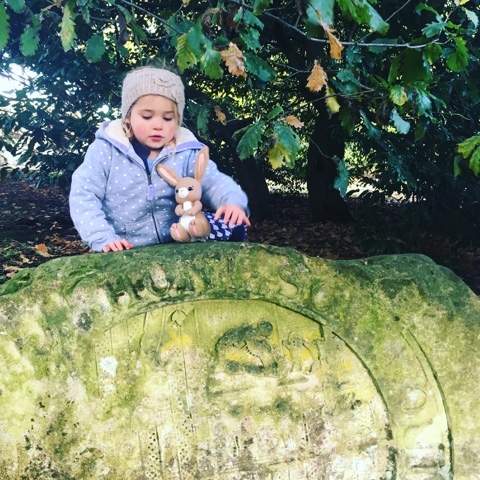 We try to get outside as much as possible whatever the weather and this was made even more fun by taking Boo along to join in with the adventuring. As well as adventures we love 'yummy scummy days' in our house. You'll often find us in the kitchen baking up a storm. I love it when we bake and the girl's comment on the lovely smells that drift through from the kitchen as our creations are cooking. I hope it's something they'll always remember about their childhoods when they are older, it's the little memories like this that are the most special, a favourite in our house are cookies and banana bread, they just smell divine. 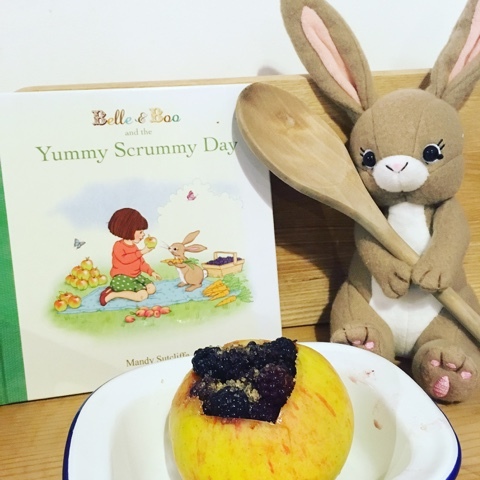 We decided on one of our recent baking sessions to make some baked apples inspired by one of Boo's own stories 'Yummy Scrummy Day'. We collected some cooking apples from their grandparents orchard and after I helped core them they loved filling them with blackberries we had collected earlier this year and sprinkling them with sugar. After baking them in the oven we enjoyed them warm with ice cream for pudding. After a very busy day we snuggled our Boo's into bed and the girl's told them bedtime stories. They didn't stay in the box for long though as they all wanted to snuggle their Boo's in their own beds and who can blame them? Our Boo's really have become the little ladies best friends and are much treasured. 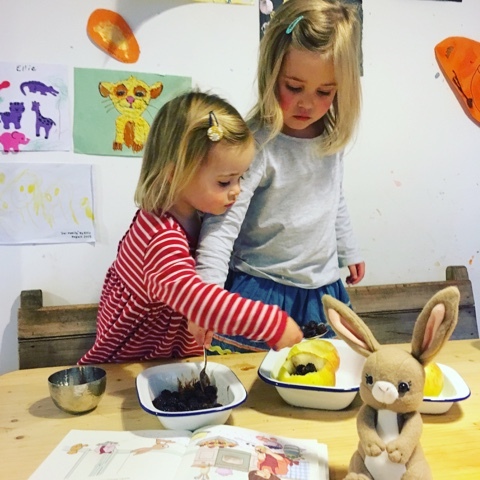 I love that they love them but most of all that as they carry them round by the ear, or the paw or cuddle them close that the magic of childhood present in the Belle and Boo stories is present in my home. Wishing you and your Little's magical adventures.